Some see a glass as half empty-those are the followers, the pessimists, or slackers. Others see the same glass as half full-these are the future and present leaders, the optimists, the believers, receivers, and achievers. An even smaller group, the entrepreneurs, over-achievers, calculated risk-takers, opportunists…they all assess the environment, evaluate the clientele, analyze the market trends, and make fast calculated decisions. Based upon these factors, that half full glass was already sold before anyone even thought about taking a drink from it or not. 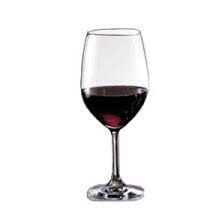 Most likely the half-full group invested in the glass and the half-empty group are the mere consumers of that glass. Which group do you see yourself in?